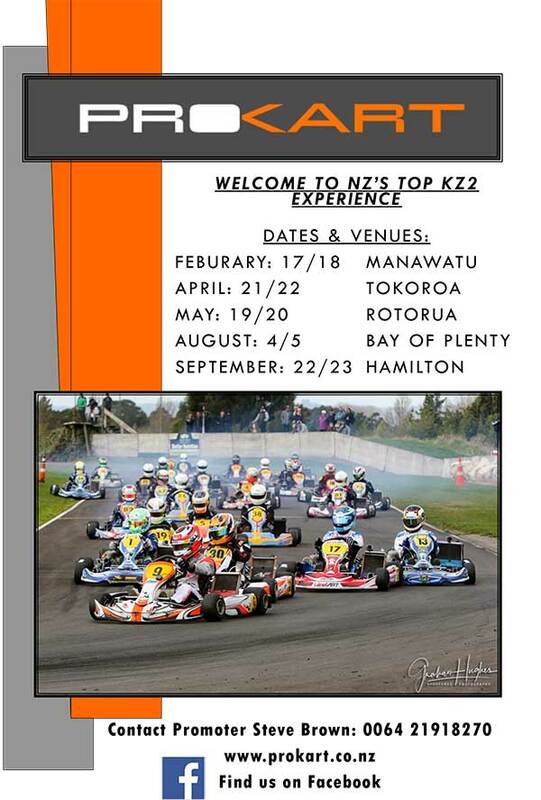 Organisers of the 2018 ProKart New Zealand KZ2 Championship have put out the invite to Australian karters to contest next year’s series. The five-round championship commences at Manawatu in February. For further information, visit the links below and contact the series promoter, Steve Smith.